QSEL is an innovative program from QuaverMusic that uses the power of music to address core SEL skills in both teachers and students. QSEL features nearly 96 sequenced lessons for grades K-2. 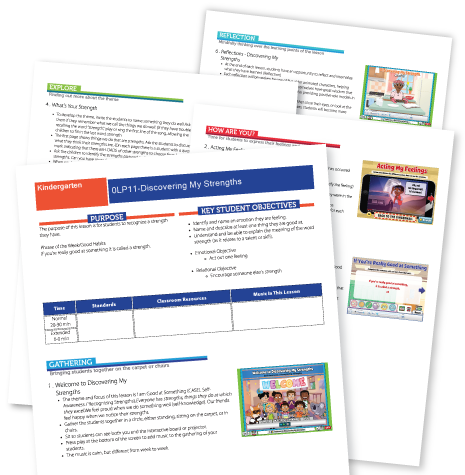 Each lesson is packed with a variety of engaging activity ideas with notes for teacher planning and an editable, printable PDF lesson plan. QSEL resources are flexible. They can be used as a curriculum of weekly 30 to 45-minute lessons. Or you may wish to use a single activity for a 5-10 minute morning gathering each day. With 32 complete fully-developed lessons in each grade level, QSEL helps lay a solid foundation for Social and Emotional Learning. 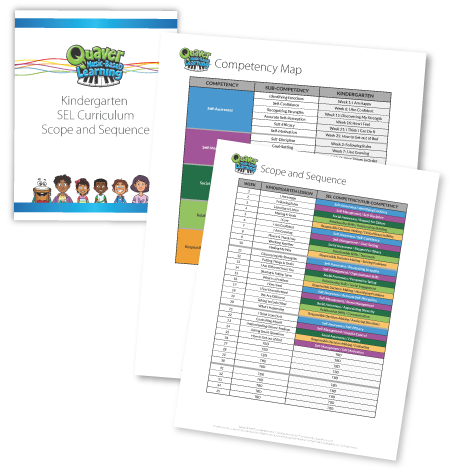 Each grade level includes lessons to support the 5 CASEL competencies: self-awareness, self-management, social awareness, relationship skills, and responsible decision-making. Explore the lesson planning resources below to learn more. Dig deeper into a single lesson by exploring the Lesson Structure or try QSEL in your classroom, free for 30-days.